Robot-Kraken Podcast Ep. 45 Now Available – When in Doubt, Goggins Out! Sick Sled, Thor – 15 Feb 2017 | robot-kraken.com on Robot-Kraken Podcast Ep. 28 (February 2017) Available Now! 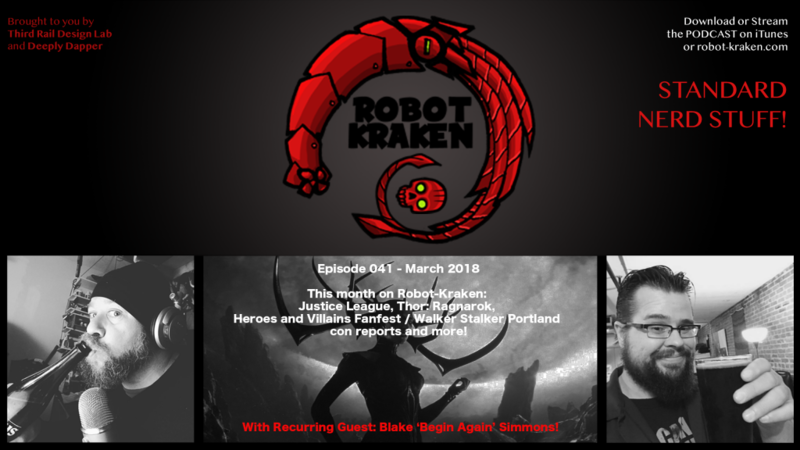 Review: Deadpool | robot-kraken.com on Robot-Kraken Episode 05 is now available for streaming or download!